55 Years as on date of receipt of Application. Experience : 10+ years of related experience in a leadership role preferably from Banking and Financial Services sector companies of repute. 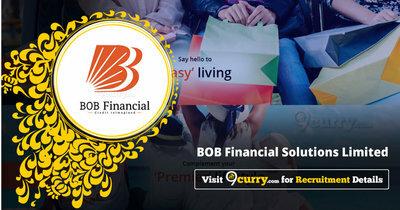 Eligible candidates may send their application by E-mail to careers@bobfinancial.com with subject as “Sales - Zonal Sales Manager” on or before 24 Apr 2019, along with all required documents & certificates.